Harmony Public Schools campuses in the San Antonio/Laredo/Brownsville Area will host the 2018-2019 student admission lottery at 1:30 pm, on Wednesday, February 21, 2018. 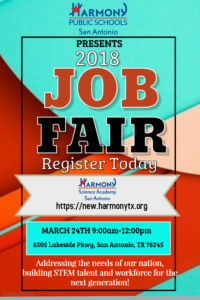 This will be held at the Harmony Science Academy-San Antonio campus located at 8505 Lakeside Pkwy, San Antonio, TX 78245. This lottery is open to the public. 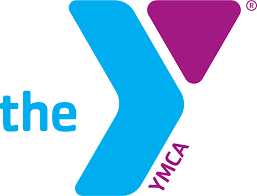 We have patterned with the YMCA off Potranco to offer Spring Sports here at HSE. To register your child, please fill out registration form and payment information and turn into the front office or drop off at the YMCA off Potrance. Forms can be picked up at the office or downloaded below. 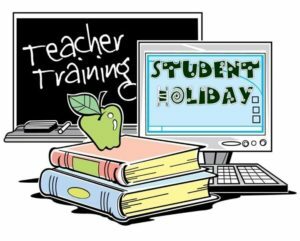 This will be practice for 2nd-5th grade! Remember NO LUNCHES will be allowed to be delivered or dropped off for any grade level. Please make sure students get a good night sleep and eat a healthy breakfast!